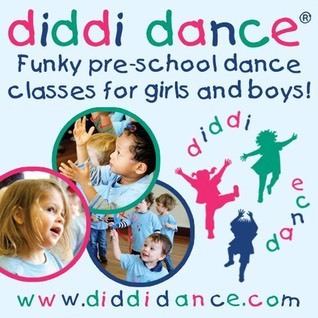 "I recommend�diddi dance�to Local Mums. My children absolutely LOVED their diddi dance parties! They had endless fun and the whole experience was so cool and such a joy. The teachers are brilliant with all the kids and made it such a fantastic day - we love diddi dance!" 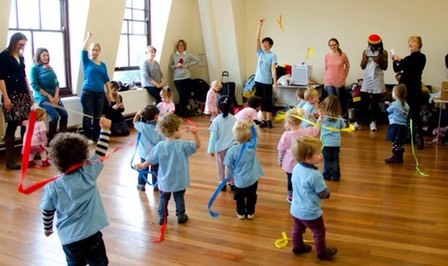 The only pre-school dance program to explore 14 different dance styles! At diddi dance we enhance children's endless energy and enthusiasm through funky, full of fun sessions that build confidence, co-ordination and creativity. We run weekly classes, private parties and nursery sessions. Classes are ideally suited for both boys and girls between 2-4 years, however we have had lots of children as young as 16 months join in. �So always contact your local diddi dance to book your FREE trial. The classes were devised and started by Anne-Marie Martin, a professional dancer with over 20 years teaching experience. After running for over 9 years in London we are now have over 30 location all over the UK with more opening up all the time. Look around our site to find out more about our classes, parties or to book a place. Why not join the fun, see where the closest diddi dance is to you and get in touch today! Local Mums are entitled to a 10% discount if two friends both sign up before end of September 2014.